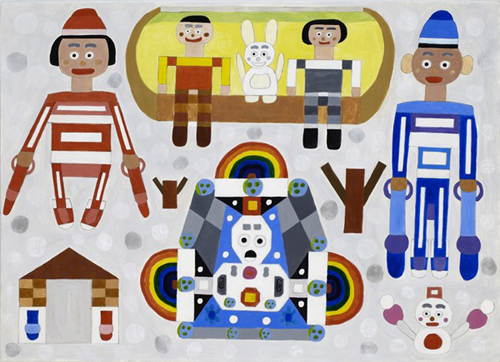 If you're in Paris before February, don't miss the temporary exhibit of outsider art at The Museum of Everything. Disbelief and awe were the prevailing sentiments at the end of my visit. 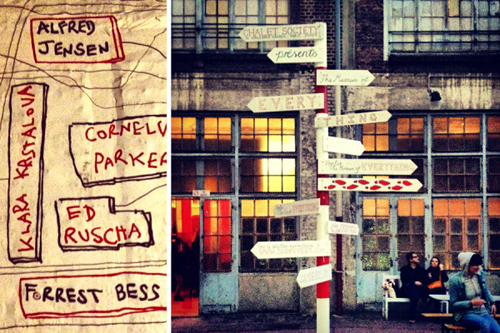 If you're in Paris before February, don't miss the temporary exhibit of outsider art at The Museum of Everything. Fathom contributor Meghana Gandhi reports back on her recent visit. PARIS -- Disbelief and awe were the prevailing sentiments at the end of my visit to The Museum of Everything. Despite memorizing stacks of art flash cards in elementary school; spending countless hours in art history classes and at galleries, museums and auctions; and making pilgrimages to art hotspots as remote as Marfa and Burning Man, I'd rarely come across the kind of work I spent a couple of hours enjoying. All museum photos by Meghana Gandhi. Not surprising, as it turns out. James Brett, a British filmmaker and entrepreneur, established the museum, which he conceived as a one-time exhibition in London in 2009, because, "Nobody else was curating this work." "This work" is created by people Brett terms non-traditional artists, those with no formal art training. 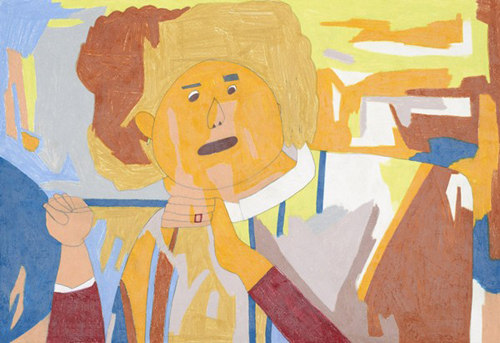 Outsider art, as it's also called, has existed since the late 19th century and came to light in the 1920s when a couple of German psychiatrists published studies on the work of institutionalized patients. The creators featured in The Museum of Everything include psychiatric patients as well as dental technicians, autistics, factory workers, schizophrenics, butchers and deaf mutes. In other words, people whose work is not often found on the walls of a Gagosian or a Guggenheim. And once you've seen their pieces, this feels like a real shame. Because, as Brett puts it, "They are good artists first and foremost. Their circumstance and context are perhaps secondary." Following the success of the first exhibit, which was extended from a few weeks to four months and attracted 35,000 visitors, The Museum of Everything traversed Europe, stopping in Turin at the Agnelli Museum and in London at the Tate Modern, among others, and taking a five-city tour of Russia. Currently in Paris through February, the museum is housed in the Chalet Society, a careworn Catholic seminary-turned-exhibition space located (somewhat ironically) in tony Saint-Germain. More than 500 19th-, 20th- and 21st-century pieces (from the museum's collection of nearly 7,000) fill classrooms, hallways and even a bathroom. The works are stunning in their complexity, diversity and depth. 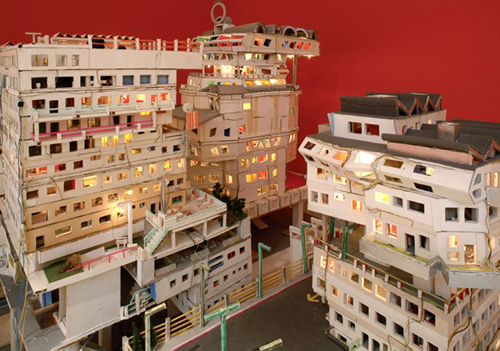 There are ridiculously intricate model-type buildings constructed from minuscule electronic, radiophonic and typewriter components, as well as musical instruments covered entirely by cigar labels. There are scarecrows and small-scale trolleys/buses made from found objects -- the former by a blind epileptic, the latter by a transport-obsessed schizophrenic known as the King of Stations. "Possum Trot" is a city of 80 wooden dolls, some of which had been equipped with speakers so the artist could give them voices. In addition, there are scores of works on canvas, some so richly detailed that they're almost exhausting to observe. As a bonus, the compelling wall labels are written by fellow artists, curators and other creatives -- David Byrne, Marlene Dumas and Lee Friedlander among them. Maurizio Cattelan tells another dollmaker's story by scripting a conversation among his dolls. Of one creator, Ed Ruscha states, "When I look at his pictures, alarm bells go off, warning me of their power." 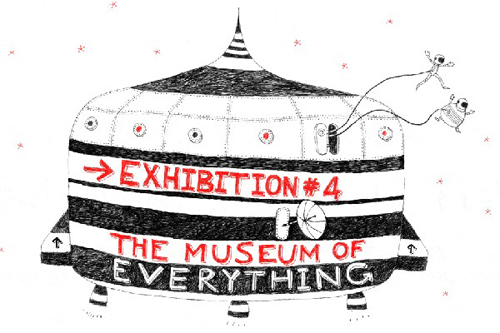 The Museum of Everything will be in Paris through February 24, 2013. A Russian-centric show is slated for April at the Garage Center for Contemporary Culture in Gorky Park, Moscow, and rumor has it that exhibits in New York and Los Angeles are forthcoming. Just know that armchair traveling to this one isn't an option: Photography is prohibited, and there's a € 1000 fine imposed upon anyone who gets even a little snap-happy -- which is tempting, because it's the kind of work you'll want to look at over and over again. Wednesday to Sunday, 11 a.m. to 8 p.m.
On display through "Happy Xmas 2012"
Note: The show will run through February 2012. Before visiting, R.S.V.P. through the website.